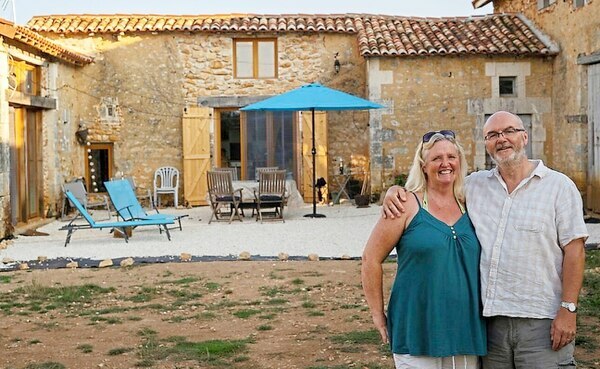 When Mandy and Rob Willis started looking for a new home in France to set up a music school they knew exactly what they wanted. Their dream house was one with land and renovation potential that they could move in to straight away and was within walking distance of a bakery and café. But the property in the Charente region of south-west France that was to capture their hearts proved that none of that really mattered once they found the perfect location. It may not have been habitable and have no running water or electricity but they knew, as soon as they visited Les Cerisiers for the first time, that it was the one. “We originally wanted a house to live in immediately with some potential for renovations, out buildings and with a fair amount of land. “It was also important to us that the property was not close to other buildings and that we had a bakery and café nearby to walk to – what most people would want when moving abroad. “However, as soon as we were shown this location and property, we fell in love with it straight away. And our wish list went out the window. “None of the buildings were habitable, there were barns, piggeries, a cow shed and a very dilapidated cottage. “There was no water or electricity, no bakery or café. But there was peace and quiet in abundance. 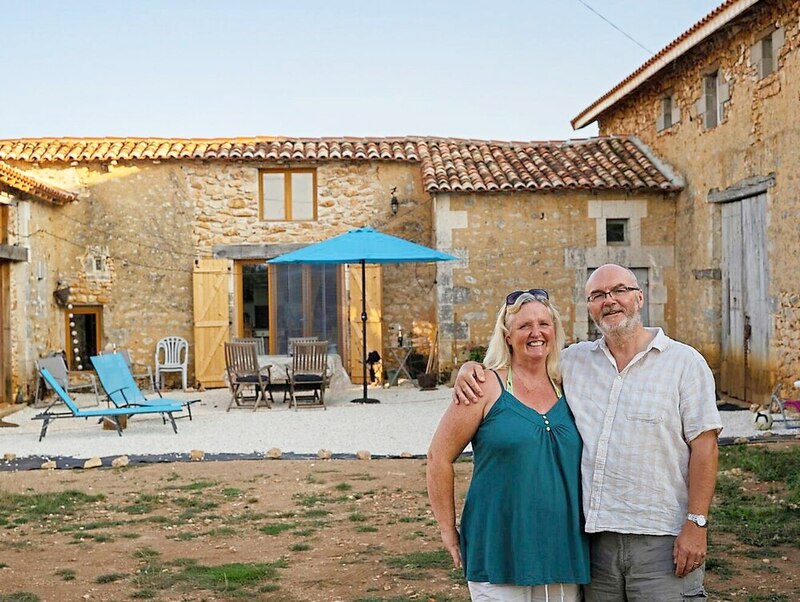 “We have just under two acres and our nearest neighbours are sheep and fields of sunflowers,” explain Mandy and Rob, who moved to Mainzac on the Charente-Dordogne border in February 2016. Relocating to France was a long-held ambition for the couple, who lived in Kinver for 20 years and both have careers in music. Mandy, aged 54, had been head of music at Bishop Milner Catholic College in Dudley and music teacher at Hagley Catholic High School. 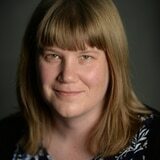 She’d also been a woodwind peripatetic for Dudley Performing Arts and Worcestershire Music Service. While Rob, 55, works as a musical director, pianist, arranger, composer and producer. 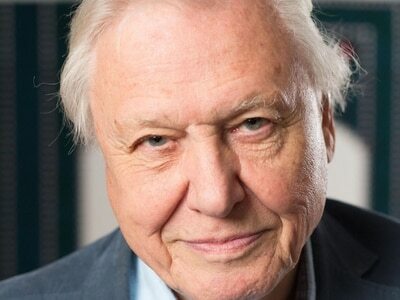 Since 2008 he’s been touring the globe as conductor for Britain’s Got Talent winner Paul Potts. This year will be his 18th year as musical director at Birmingham Hippodrome and he has worked with the likes of Beverley Knight, Gary Wilmot, Marti Pellow, Julian Clary, Joe Pasquale, Bob Monkhouse, Anthony Newley, Joan Collins and many pantomime favourites. 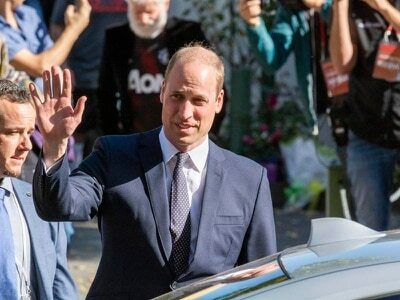 The couple who have two children, Alex and Ben, and both graduated from The Royal Birmingham Conservatoire have launched Music At Les Cerisiers to offer lessons, taster sessions, workshops, musical events and a choir along with a recording studio at their French home. “It had always been a dream [to move to France] mainly due to the lifestyle and the size of property and land you can get for the money. “We also wanted to get a recording studio up and running with accommodation so bands et cetera could come over to record and stay on site with home-cooked meals and socialising. “It was never the right time to move whilst the children were young and parents were dependant. After making the decision to move the previous year, we started looking seriously on the day of our silver wedding anniversary. “We had been celebrating with friends in France and booked a number of viewings. “Everything seemed to fit in to place. Our estate agent was brilliant. She found us a beautiful apartment in a chateau nearby to stay in whilst house-hunting. “We were invited to their yoga retreat for meals, and at the end of the week, Rob found himself playing bass at a gig at the retreat. We were sold,” explains Mandy. But before their dreams could really become reality they needed to fully renovate the property so it could reach its full potential. “Whilst waiting to have anywhere watertight to live, we stayed in a holiday apartment and camped in a tent and car in the garden,” Mandy says. “We have five buildings – the main barn and cow shed is to become our home, two of the others will be gîtes and the cottage will be the music studio for recording and teaching. 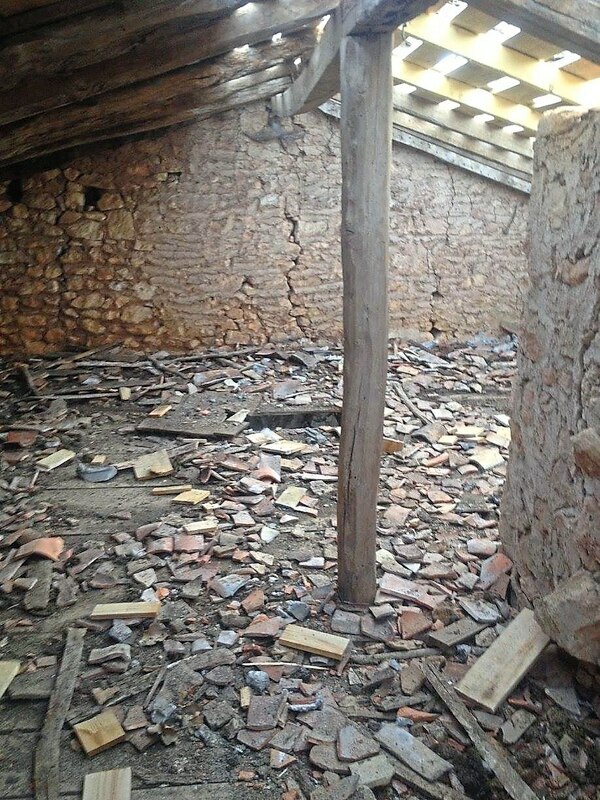 “We are currently living in one of the gîtes – a former piggery – and both rentals will be finished next year ready for the holiday season. 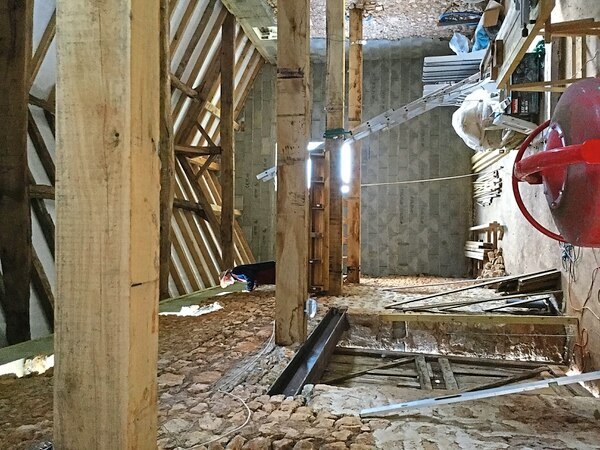 “The main barn now has a floor, a raised and completely refurbished roof, upstairs windows and some joists. We need to complete the upstairs before we rent the gîtes so we have somewhere to sleep,” she adds. But it’s not always been easy for the couple who have learned some important lessons along the way and are keen to pass on their advice to others following in their footsteps. “There have been numerous challenges. Our advice to others would be don’t be in a rush to get things done as quickly as possible. “Make sure your builder comes recommended and you see as much of his work as possible. Get written quotes and do everything by the book. We didn’t follow our own advice and learnt a few hard lessons with our English so-called builder. Rob is now doing most of the work, but we have found a wonderful Polish builder – we can’t praise him and his team enough. “We have an English insurance broker who has been invaluable in steering us in the right direction regarding carte vitale (health system), importing and taxing our cars and even opening the right bank account. 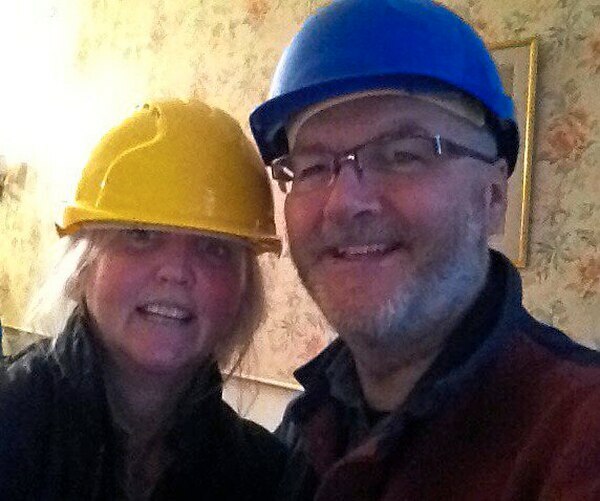 “Brexit of course, having affected the exchange rate, has depleted our renovation funds,” explains Mandy. The couple also has a lot of plans for the future including creating a pool and opening up the site to eco-glampers. “We didn’t realise how much rubble and spoil would come out of the buildings. We have decided to use this to our advantage and create a large pond area. “We also have a ridiculous amount of rock that was removed from the hole which eventually will be a pool. We are certainly not short of stone for future building projects. “A lot of time and effort has been put into creating a vegetable garden this year as being self sufficient is quite important to us. “Chickens and goats will be joining us next year. We also plan to open up part of the garden and wooded area for eco-glamping next summer,” explains Mandy. The life-changing decision to move to France has brought with it many health and lifestyle benefits for the couple. “The pace of life is great, although not if you need something doing urgently. There are definitely health benefits – Rob’s blood pressure has dropped significantly. “The weather on the whole is much nicer, currently it’s 34c (93F) in the shade. Travelling anywhere is generally a pleasure rather than a chore. “We consider the roads busy if we pass three or more cars on the way. And there is absolutely no light pollution. Star gazing is incredible! “We do really miss family and friends especially now our first grand-daughter has arrived. But we have very busy summers with them all coming over and spending the holidays with us,” she adds.